Oven-roasted Brussels sprouts are lovely when you add some orange zest. Great as a side dish. Toss them with cranberries for even more flavor. Use a paring knife to CLEAN the Brussels sprouts. If needed, chop off the tip of the stem and remove the outer leaves. 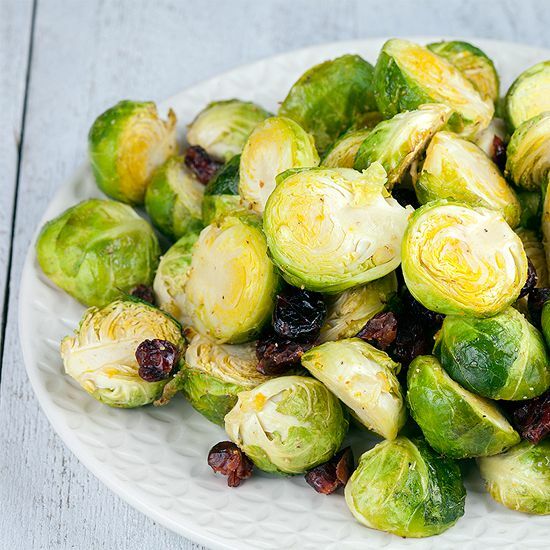 CHOP them in half and REPEAT for all the Brussels sprouts. DIVIDE them over the oven dish. 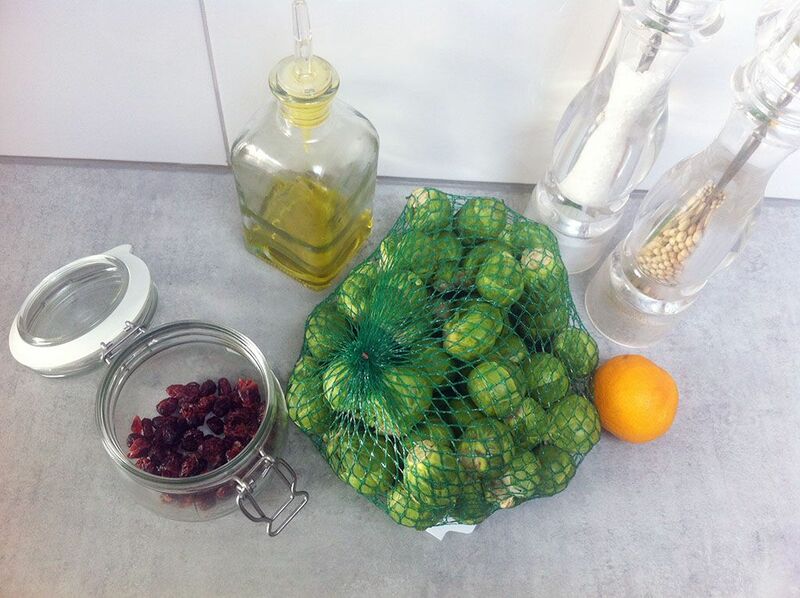 DRIZZLE the Brussels sprouts with olive oil and create orange zest by grating its peel. 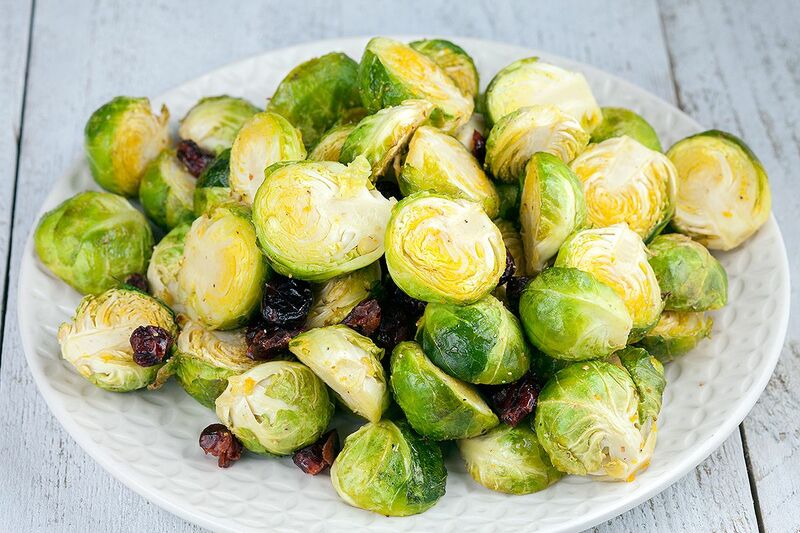 Bring the Brussels sprouts and orange zest to taste using pepper and salt and toss them well. ROAST the sprouts in the oven for about 30 minutes. They’re done when they’re still a bit crunchy. ADD the dried cranberries and stir until well divided. Great side dish for any kind of meat such as Marinated procureur. Enjoy!